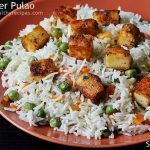 Paneer pulao recipe – Easy and healthy Paneer pulao that goes good in lunch box or as a quick dinner on busy nights. I have tried paneer pulao in so many ways in the past few years, finally loved this way of making. Paneer smells very aromatic and almost is like paneer tikka. 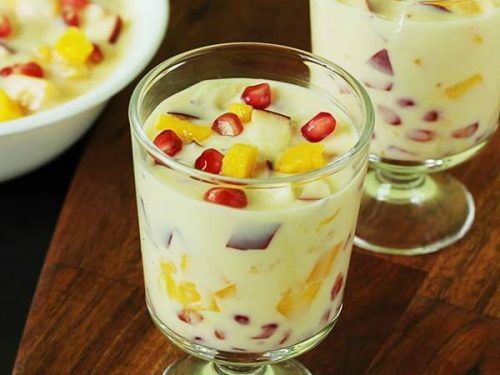 This is often prepared at home as it is easy to make and tastes delicious. 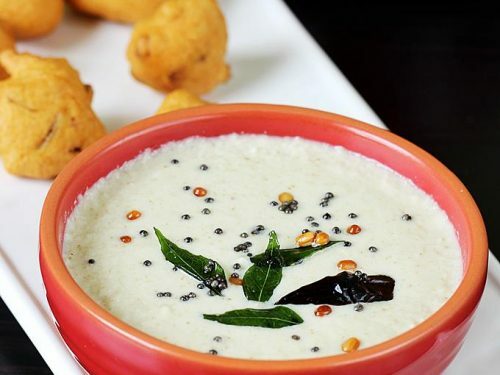 It can be accompanied with a simple vegetable salad or a Raita like cucumber raita or onion raita. I have made this almost the same way i make veg pulao recipe, except a different way of preparing paneer to make it flavorful. 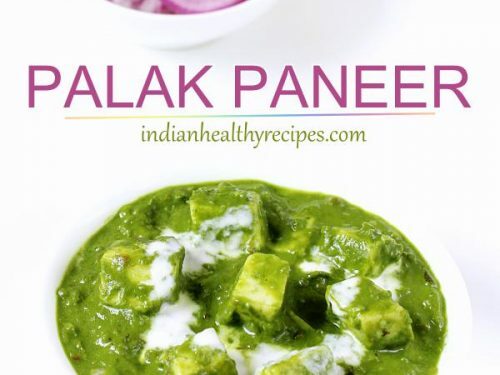 Paneer tastes bland when used in some recipes especially in pulao unless enough spices and coriander / mint leaves are used. 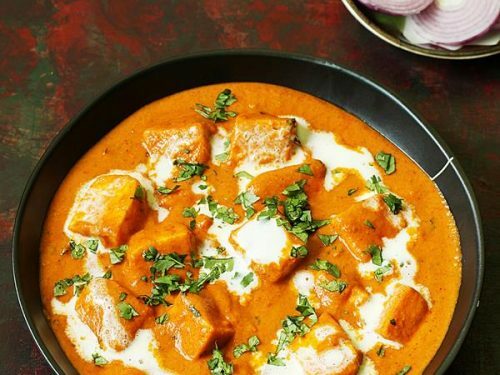 Paneer when cooked with a good amount of spices acquires a great aroma and taste. 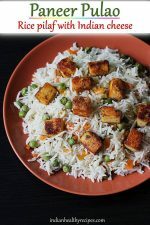 To make this pulao, paneer is not cooked along with the rice, hence remains soft and is flavorful too. To make a balanced meal, i like to add some veggies. Carrots, beans, peas, mushrooms go well. 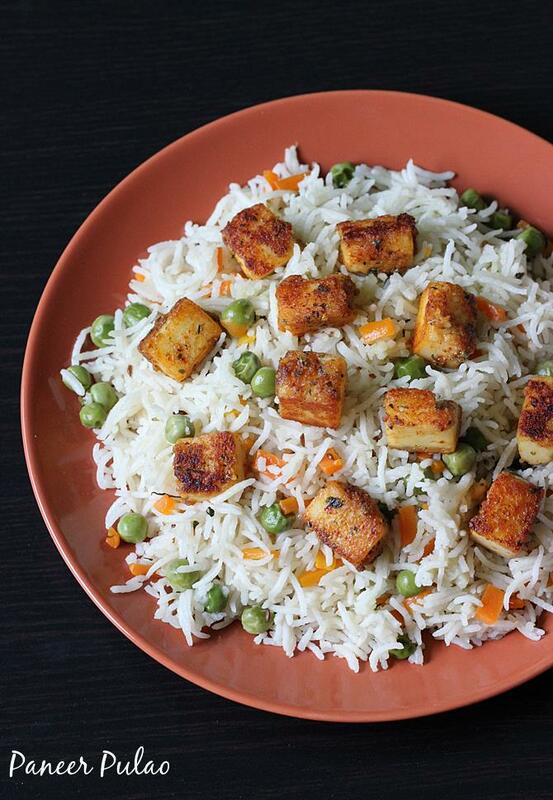 Simple paneer pulao made under 30 mins for a balanced and quick meal. 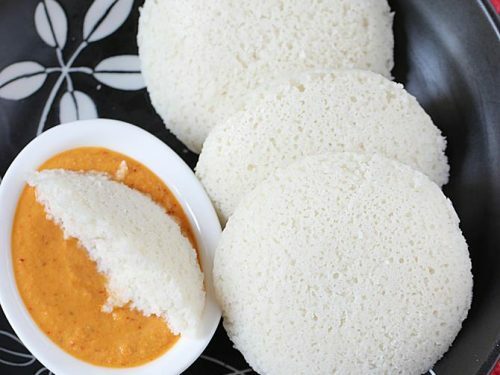 It is garnished with crisp fried paneer. 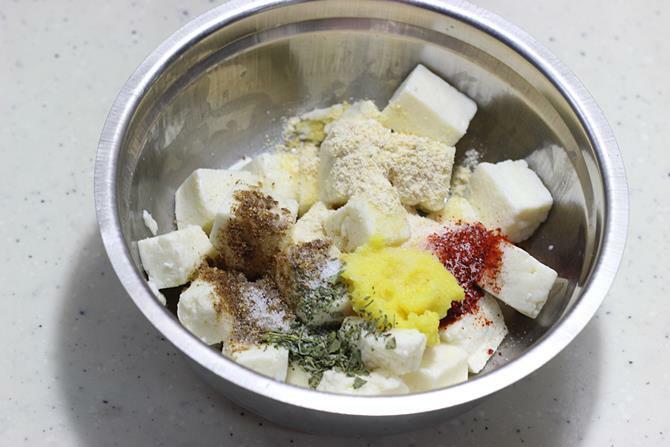 Add all the marination ingredients to paneer. Mix and set aside. 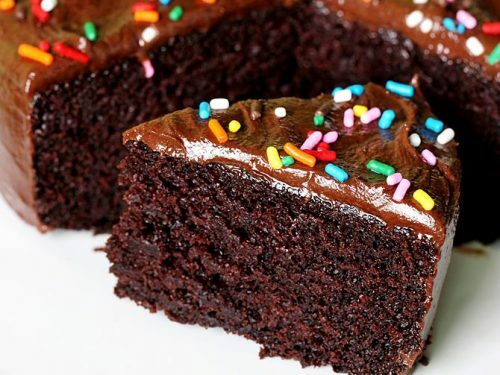 If needed sprinkle 1 tbsp water. Heat oil or ghee in a pot or cooker. 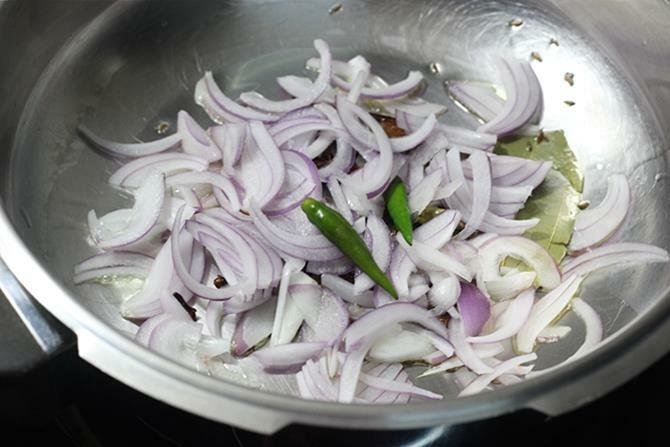 Then fry all the dry spices till they begin to sizzle. Fry onions until golden or brown. Next fry ginger garlic paste till the raw smell goes off. Add all the chopped veggies and saute for 2 minutes. 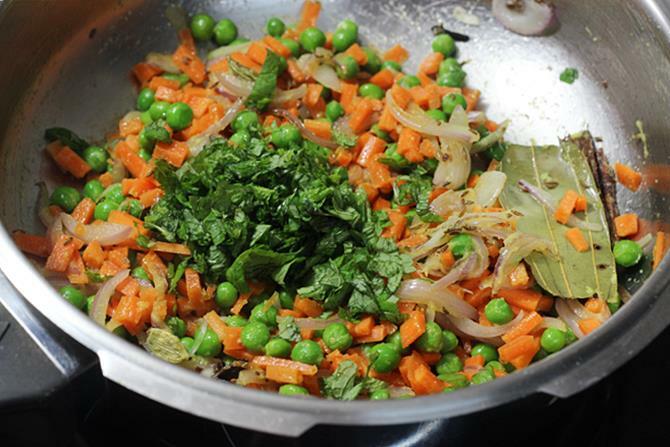 Add coriander and mint leaves. Fry until you begin to smell good. Pour water and salt. Stir and taste it. Bring it to a boil. Add soaked and drained rice and cook until done. 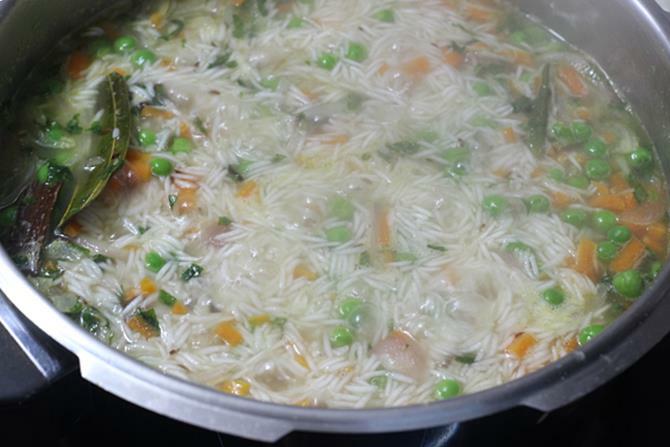 If cooking in a pressure cooker, simmer the flame when the water almost evaporates and rice is still soggy. Cover with the lid and cook for 4 to 5 minutes and switch off. Meanwhile, Heat oil in a pan. 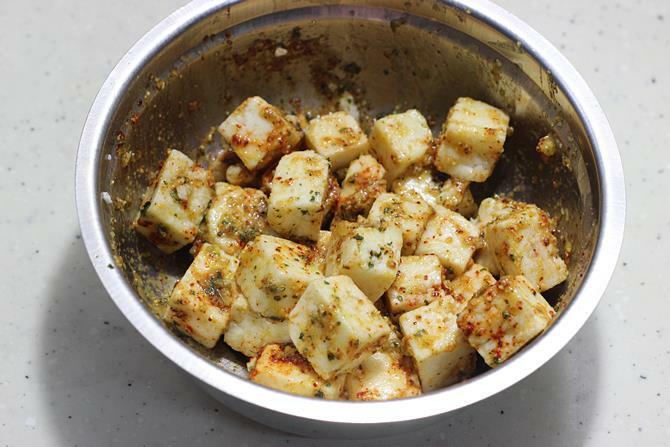 Fry paneer along with the marinade until golden. When the pressure goes off fluff the rice and top with paneer. 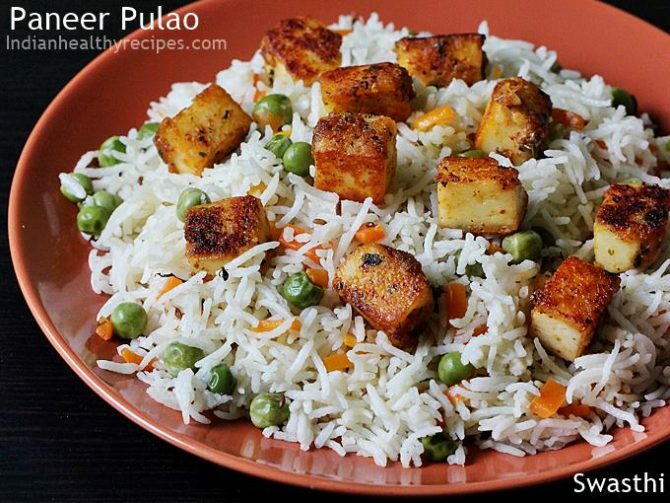 Serve paneer pulao with a raita or a salad. 1. Rinse paneer to make it moist or sprinkle 1 tbsp of water. Drain off water completely. Add ¼ tsp red chili powder, ½ tsp garam masala, salt, pinch of turmeric, 1 tsp besan, 3/4 tsp ginger garlic paste and ¼ tsp kasuri methi if you like. Kasuri methi adds a good aroma. 2. Add 1.5 tsp oil and mix everything well. Set this aside as we are not cooking it with rice. 3. 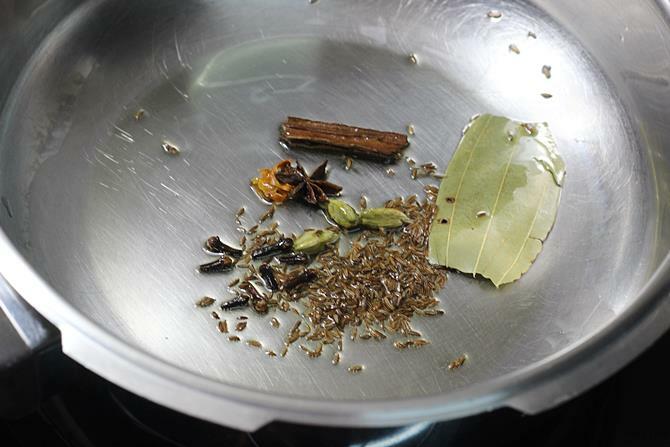 Heat a pan with ghee or oil, add cloves, cinnamon, bay leaf, cardamoms, mace, shahi jeera and star anise. 4. When they begin to splutter, add sliced onions and green chili. Fry until golden or transparent. 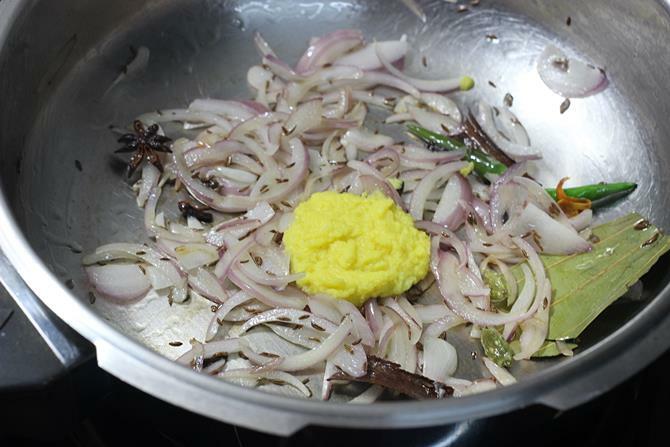 If you like to make your pulao look dark color, fry onions till they turn deep golden. 5. Add ginger garlic paste and fry until the raw smell goes off. 6. 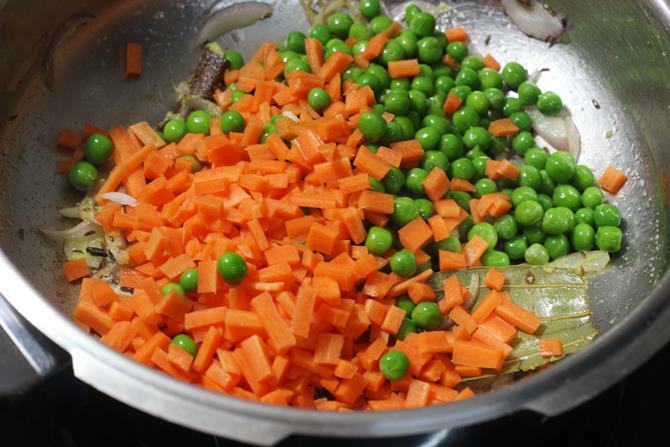 Add peas, carrots and fry. 7. Add coriander leaves and pudina. Fry until the leaves smell good. 8. Pour water and add salt. 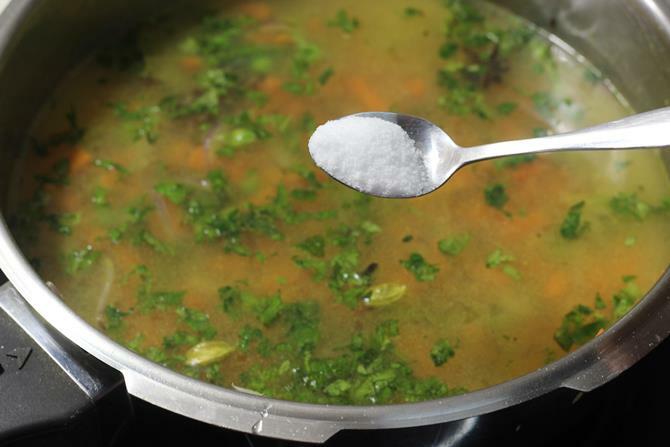 Stir and check if there is enough salt. Water must taste slightly salty. 9. 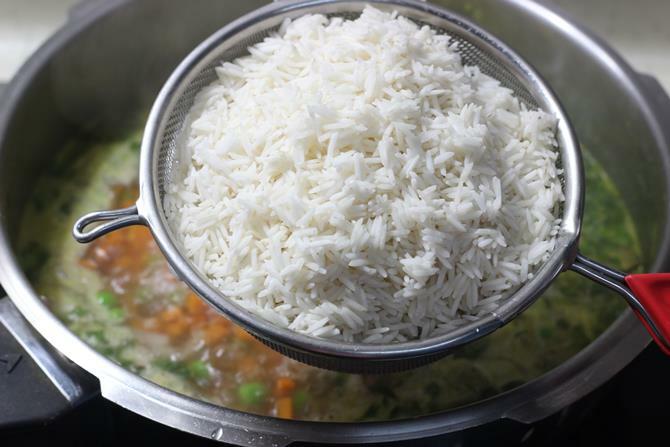 When the water comes to a rolling boil, add drained rice. 10. Cook until the rice is cooked completely. If making in a pressure cooker, When the water is almost evaporated like you see in the picture below, cover the cooker and cook on a low flame for 4 to 5 minutes. Switch off the stove before the cooker whistles. 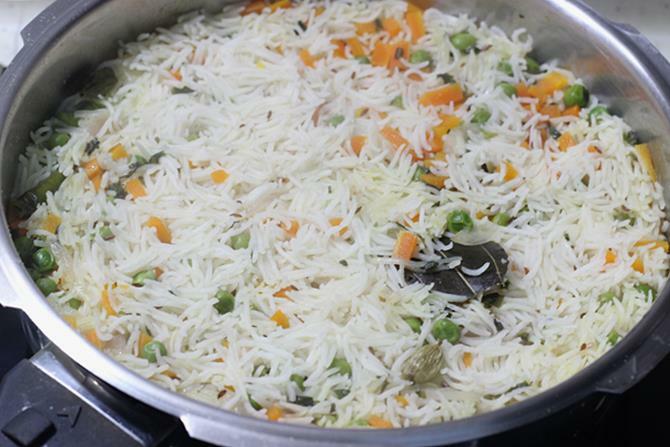 If you like mushy pulao or using normal rice, then allow to whistle once. 11. 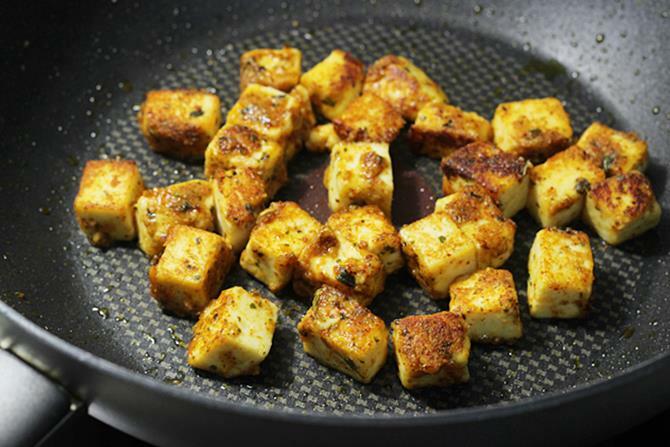 While the pulao cooks, Saute paneer in a hot pan till golden and crisp. Paneer begins to smell very good. Do not over cook as they tend to turn hard. Once done transfer to a plate immediately. We don’t need to add oil as we added to the marinade. 12. When the rice is done, Fluff up with a fork. 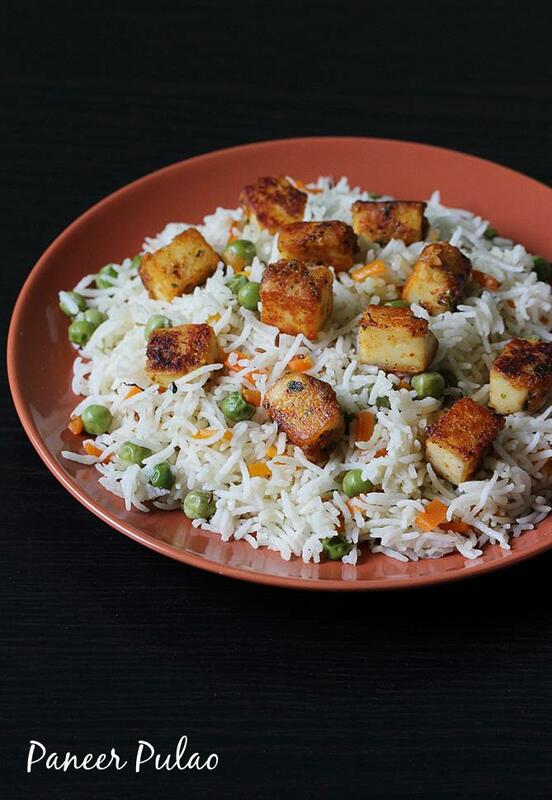 You can add paneer to the rice and stir or allow the rice to cool down a bit and then top the pulao with paneer. You can also garnish with fresh coriander leaves. In the lunch box, i pack the pulao and paneer separately. I will try in future. Thanks.